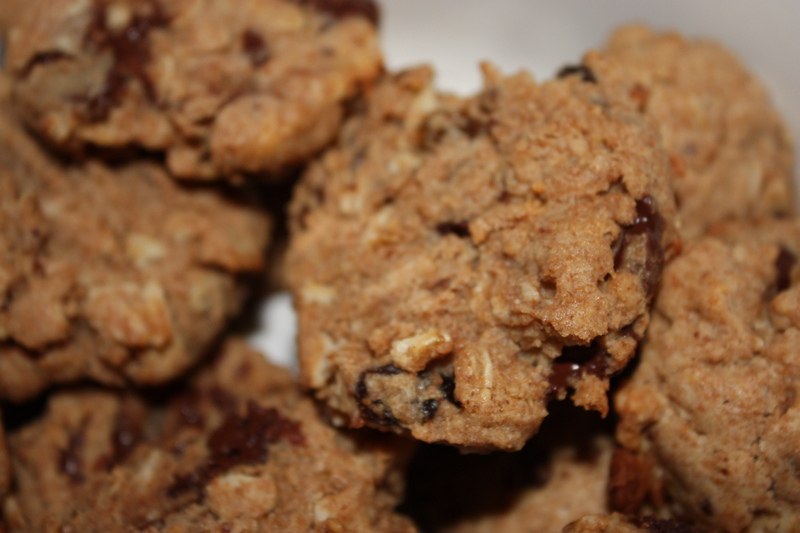 I tried to make oatmeal cookies healthier with using whole wheat flour, and added my own twist on what was in my pantry. Mini reeses peanut butter cups! Came out really yummy and perfect for a quick treat. Preheat oven to 350. Cream the butter, sugars, and vanilla together on medium speed until combined. Add the egg and beat to combine. Add the whole what flour, baking soda, and salt. 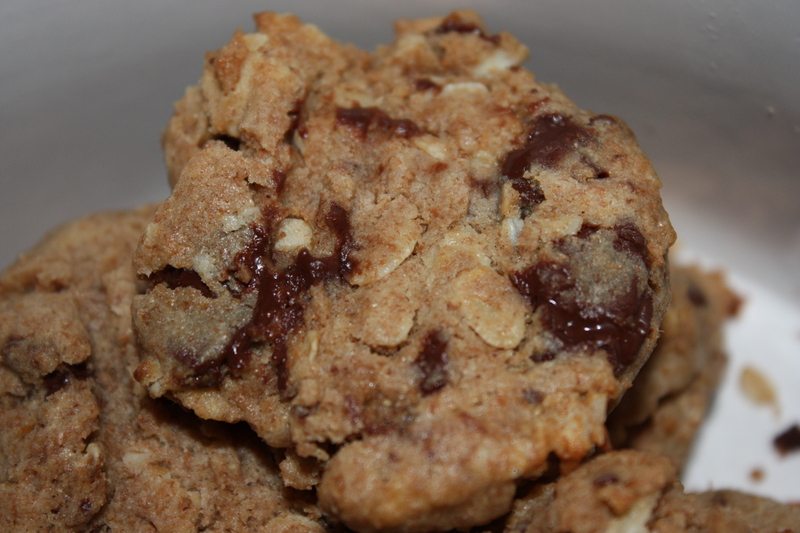 Stir in the oats with the crumbled mini reeses peanut butter cups and raisins. 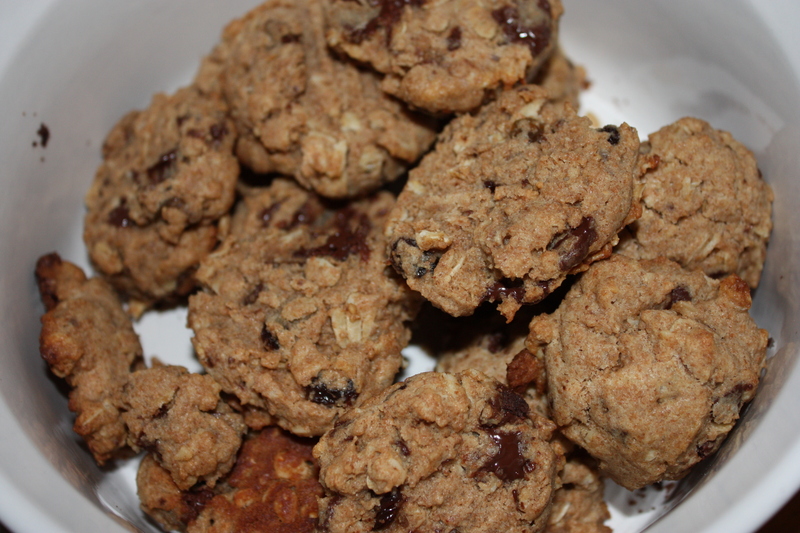 Stir to combine and using a cookie scoop, drop the dough onto a cookie sheet lined with parchment paper. Bake for about 8 minutes, push down into the center of each cookie gently with a fork, and cookies are done when golden brown.